The Texas Apartment Association Education Foundation congratulates Sam Levassar, winner of “Be the Next Room to Grow Ambassador” video challenge. The “Be the Next Room to Grow Ambassador” initiative was an internal video challenge for industry employees to share their stories in order to become the next Room to Grow Ambassador. A diverse panel of industry leaders chose five finalists from the group of submissions. The public voted on the finalist videos for two weeks, and the finalist who received the most votes by January 29 was named the winner. TAAEF congratulates the challenge winner, our next Room to Grow Ambassador – Sam Levassar! Thank you to ALL of you who participated in the “Be the Next Ambassador” challenge. You are all an inspiration and are what make this industry such a great place to work. The Texas Apartment Association Education Foundation launched the “Be the Next Ambassador” video challenge as part of the Room to Grow campaign last October. This was an internal initiative, asking industry employees to tell us their career stories in order to be chosen as our next Ambassador. TAAEF received submissions from across the state – each one inspiring and unique in its own way. A diverse panel of industry leaders selected five finalists from the group, whose videos then went to a public vote. After two weeks of voting, the finalist with the most votes was named the winner. We are excited to congratulate Sam Levassar as the winner of this video challenge, and the next Room to Grow Ambassador! Sam is a National Account Manager for CAMP Construction and is based out of Austin, Texas. 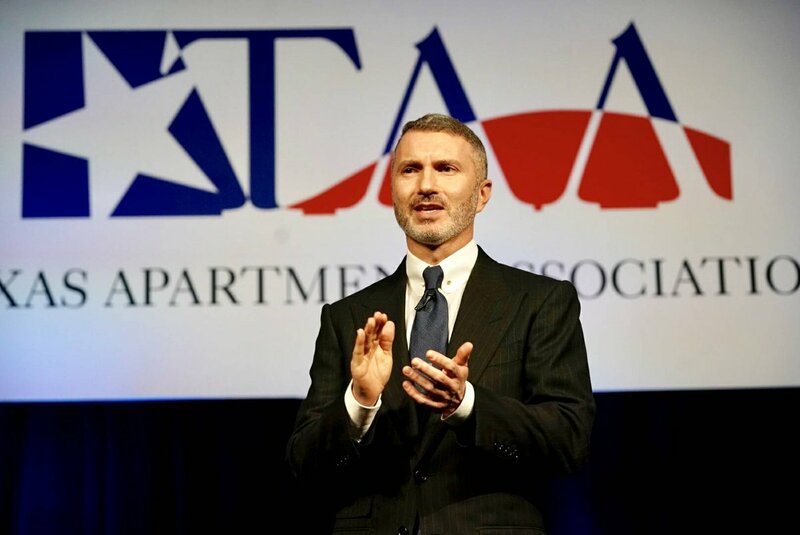 He is highly involved with the Austin Apartment Association and is a wonderful representative of our industry and the growth opportunity that comes with it. Sam’s Room to Grow Ambassador video will premiere at the General Opening Session of TAA’s Education Conference & Lone Star Expo in April. He will also be featured in the Spring issue of Texas Apartments magazine, so be sure to grab a copy. The Be the Next Ambassador challenge was a huge success, thanks to everyone who participated. Those of you who took time to submit a story, vote for the finalists, or simply talk about the initiative with a friend—thank you! For any questions or to find out how to get involved with TAAEF, please reach out to TAAEF staff at taaef@taa.org.